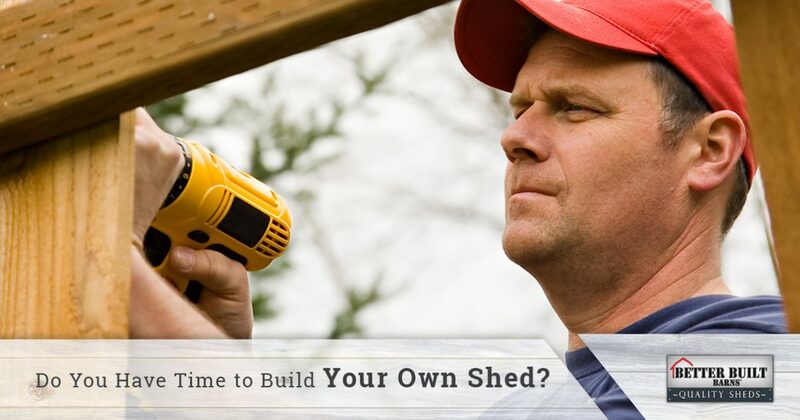 Custom Sheds Oregon: Do You Have Time to Build A New Shed? With fall well underway in Oregon, you’re likely looking forward to a bit of downtime following the busyness of your summer. Apart from relaxing, you might have some house projects on the list, at least while the weather cooperates. You may be thinking about finally painting that guest bathroom on the first floor, or you might tackle the rearranging of the garage that you’ve been putting off for months. As you move through the house, you may realize that there is more on your to-do list than you initially thought. If building a backyard shed is on your list, then it might be worthwhile to consider whether or not you actually have the time to do it. At Better Built Barns, we can construct your new custom shed in one day. Once our team arrives on site, we’ll get to work right away, putting up the walls, installing the roof, and making sure your new shed is solid and sturdy. Keep in mind that this time of year can be a busy one for us, so if you’re interested in a shed, call us sooner rather than later! You may feel that a new outdoor shed will be the best option for your property, but you may not have the time or skills to build it yourself. By choosing a building from our catalog, you can focus on those other projects that you want to get to before winter arrives, such as painting the bathroom or organizing the garage. Instead of trying to spread your time across multiple projects, you can focus on one or two and complete them to your satisfaction. This can save you from having a half-built shed in the backyard and a garage that is only partially organized. If you’ve never built a structure before, then you might be doubtful about your ability to construct a sturdy, durable shed. The last thing you want is for the building to fall down and damage anything you’ve put inside of it. Wind and weather will take its toll on your new shed, so it’s important that it be able to stand up to the elements. 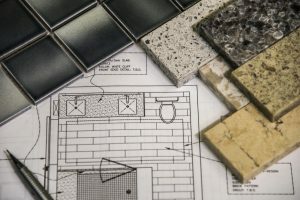 You may be worried about the cost of hiring a professional team, but when you factor in the time and the materials that you’ll need to build it yourself, it can make more sense to hire than to tackle the project yourself. If you were to build your own shed, you would likely try to make it as simple as possible. There would be four walls, a floor, a roof, and a door. It would serve its purpose for storing items, but it may not be as functional or as efficient as you’d like it to be. With one of our sheds, you can choose the options you want, such as a gable window, a loft, or a workbench. Instead of being a box with walls, your new shed can be an efficient and comfortable storage spot, workspace, or whatever you want it to be. As we stated above, early fall can be a very busy time of year for us, as people are thinking about everything they need to put away for the winter. If you’re interested in building a custom shed, then contact us today. We have locations in Salem and Oregon City, and our team is always ready to help you find the building that fits your needs. Once everything is ready to go, we’ll have your new shed up in no time.